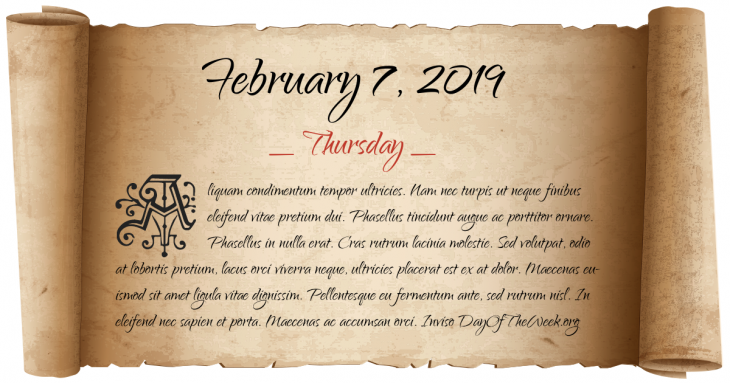 What Day Of The Week Was February 7? Napoleonic Wars: Battle of Eylau – Napoléon’s French Empire begins fighting against Russian and Prussian forces of the Fourth Coalition at Eylau, Poland. Émile Zola is brought to trial for libel for publishing J'Accuse. New Year’s Day in Chinese calendar. Start of the year of the Earth Rat in Chinese astrology. Who were born on February 7?